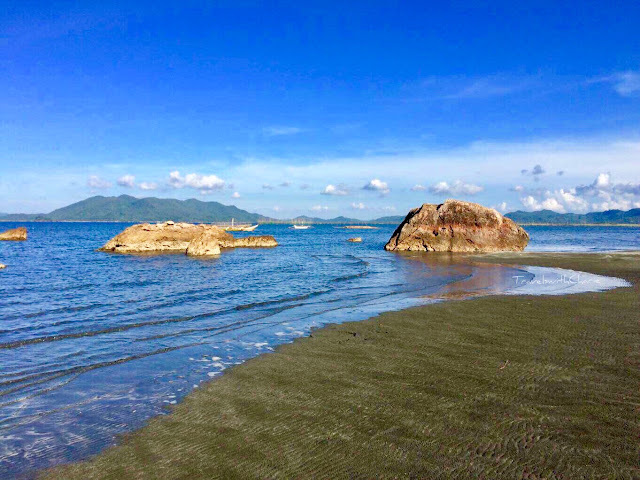 Aptly named Gugma (Love), this off the grid stretch of warm grey sand in Sapian ticks all the right boxes for a splashing good time with its expansive views of the coastline and striking rock formations by the shore. Speaking of beaches, the town of Ivisan has fine white sand beaches bordered by palm trees. 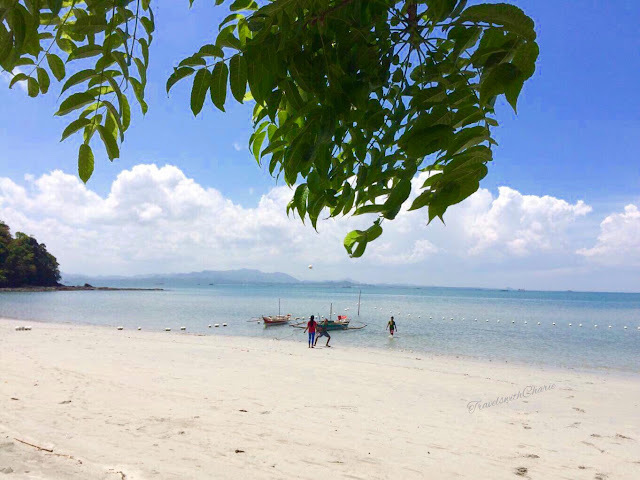 The laid-back vibe of Basiao, Ayagao and Patio beaches will please the consummate beachgoer. Pumpboats are available to explore the tiny shoreline of Maba-ay Island, just minutes from Basiao beach. Once upon a time, there was a railroad connecting Capiz and Iloilo. Buses eventually replaced the trains which were finally put to bed in 1985. 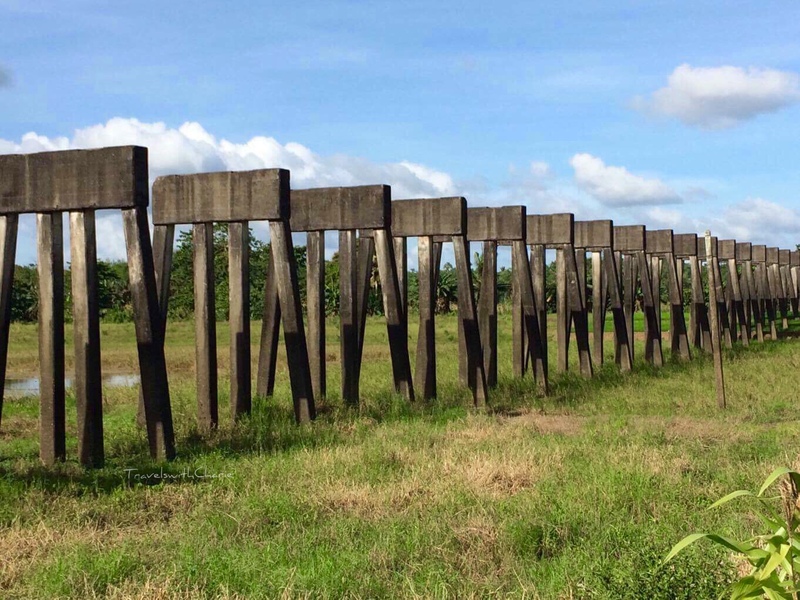 There are remnants of the supporting approach to a railway bridge in Dao, about thirty minutes from Roxas City. Hardwood pylons cut dramatically across the fertile landscape like silent sentinels of a bygone era. Nuestra Señora de las Nieves (Our Lady of Snows) in Dumarao was razed by fire in 2009. Luckily, the façade and belfry were spared. The Church, with its pink hued exterior covered by an overgrowth of foliage, is one of the most picturesque spots in Capiz. Here’s one for the Instagram museum! Set against a backdrop of verdant green hills, Marugo Lake is a bucolic vision. The lake is a reservoir that provides irrigation to neighboring farms in San Antonio, Tapaz. It is also an ideal place to escape from the daily grind. Rent one of the floating cottages and stay a while in the middle of the lake. You’ll return to reality both refreshed and rejuvenated. Cruising the river on a bamboo raft is both a relaxing and learning experience. Your guide can tell you all about the rehabilitation of Palina river while you get a massage or a manicure. You can also pre-order a delicious lunch of laswa and lapu-lapu. 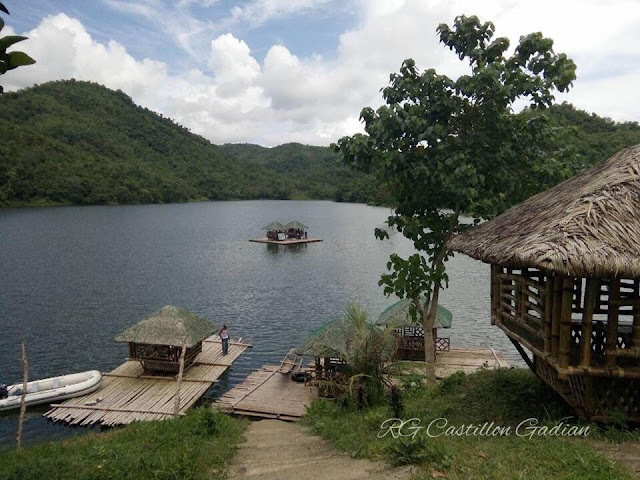 Within the vast confines of Camp Macario Peralta in Jamindan is a forested garrison with waterfalls, hiking and mountain biking trails, a golf course, a swimming pool and grotto overlooking the 33,000-hectare camp, the second largest in the country. The multiple tiered Malinamon Falls is drawing a lot of visitors to the Camp. Capizeños certainly know how to kiss the day goodbye. They stroll with friends and family at sunset on Baybay Beach to gaze at the spectacular colors of the sky. They linger till the last ray of light has exited the horizon. Then they retreat to one of the beachfront eateries for succulent seafood. Seafood is always in season in Capiz. And the sea beckons. Come soon. **All these sites are accessible using a combination of bus or Public Utility Vehicles (PUV) and tricycle. The bus terminal in Roxas City is in Punta Dulog. The Capiz Tourism office has a wealth of recommendations for sightseeing and adventures in Capiz and is located at the Provincial Capitol building in Roxas City.